The award-winning Musaic wireless music system now comes with even more music and radio content: the MP10 and MP5 smart speakers have launched support for TIDAL’s high-fidelity music service and for 30,000 internet radio stations from the airable.Radio catalogue. Musaic wireless speakers work with Wi-Fi and support high-resolution audio so one can stream music around the home in true HiFi quality. 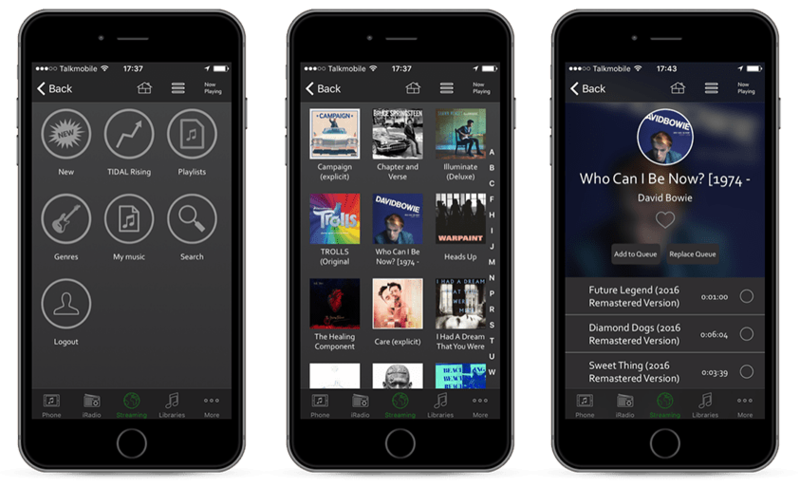 Playback of music from TIDAL and airable.Radio, as well as stored music collections and a range of other streaming services, is controlled by the free Musaic app for iOS and Android smartphones and tablets. Musaic uses cutting edge Digital Signal Processing technology to deliver a rich acoustic experience that sounds natural wherever you listen from. More than 30.000 worldwide radio stations are included in Tune In’s airable.Radio catalogue. This vast offering is sorted by region, genre, hit lists and quality. Tune In’s team of editors make sure the catalogue is well maintained, kept up to date and new stations are constantly and quickly added providing an unlimited source of freely accessible music, news and entertainment on Musaic’s smart HiFi speakers. Acting as a abstraction layer, the airable.API made integration of TIDAL and airable.Radio to Musaic’s product range quick and efficient, reducing time to market. Further details about Musaic and it’s smart speakers. See Musaic’s press release here. 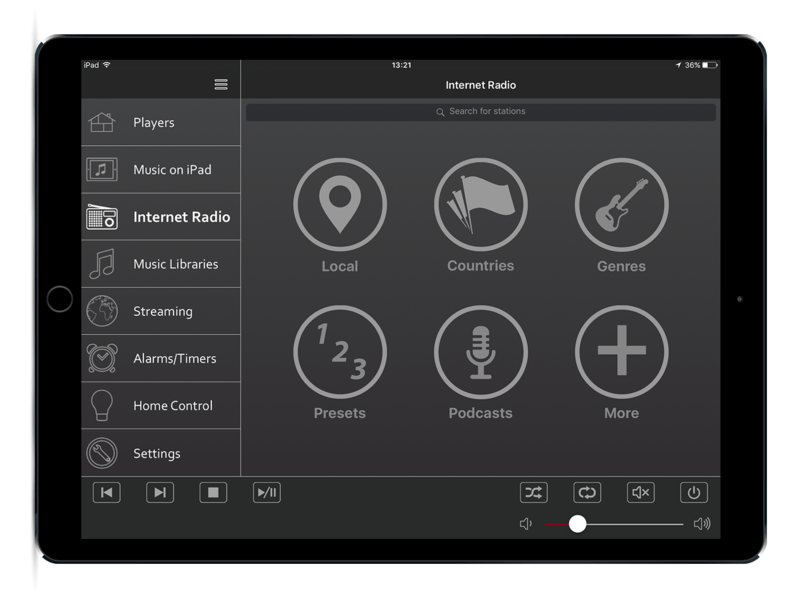 “By using the airable API and radio service, Musaic was able to implement a new very high quality internet radio service with a rich browsing experience, whilst at the same time adding Podcast support and integrating TIDALs awesome music service. The integrated API concept meant we gained access to a lot of new content but keep the engineering overhead low. We look forward to working with airable by Tune In on several more music services in the future.” – Matthew Bramble, CEO Musaic. Musaic is a small but passionate team of music and tech enthusiasts, based in central London. CEO Matthew Bramble previously worked for a number of leading HiFi companies and has designed many award-winning products. In late 2013 he set out to make an innovative new audio system to bring together multi-room music streaming and the smart home. Matt teamed up with Co-Founders Carolyn and Simon to build Musaic, the first Smart HiFi™. Every Musaic product has been designed from scratch in London. The team applied years of experience building high quality audio products to the hardware, electronics, acoustic science and software that’s gone into Musaic. The goal is a wireless HiFi system that looks and sounds great, works with lots of other products and does things to entertain, enhance or simplify the lives of Musaic customers. TIDAL is a global, experiential, entertainment platform built for fans, directly from artists around the world. TIDAL members enjoy exclusively curated content that directly connect artists with their fans in multiple ways. The service offers high-fidelity, CD sound quality music, high resolution video, an opportunity to discover new artists via TIDAL Discovery, and unique experiences via Tidal X. TIDAL is available in more than 46 countries, with a more than 40 million song catalog and nearly 90,000 high quality videos. TIDAL offers a monthly subscription with a 30-day free trial, the Premium tier at $9.99 and the HiFi tier at $19.99. See www.tidal.com for more consumer info. The interconnectedness of our world is changing the way we consume media. We decide for ourselves how, when and where we want to listen to music, radio or on demand shows. We consume any kind of media – regardless of time and place. airable – Tune In knows music, webradio statio, podcasts, audio on demand and internet media. The airable technology enables Apps and devices to meet the changing and challenging online media expectations of todays consumers. Consumers access the airable catalogues and services via devices of exclusive consumer electronics manufacturers and apps. airable – Tune In GmbH is privately held and was founded in 2010 with offices in Germany and the United States.